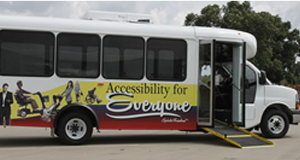 All ARBOC buses provide a single, non-discriminatory patented accessible entranceway. 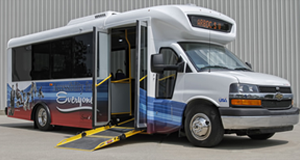 Riders of ALL abilities no longer need to contend with steps in the most accessible cutaway bus in the industry today! Now every passenger, including wheelchair riders and even power scooters can experience what true Equal Access really means! 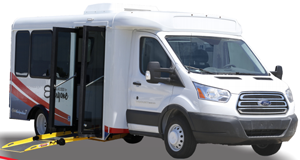 If speed of operation, ride quality, passenger dignity and safety are important, then the ARBOC is the bus for you!